Rotary Cambridge is delighted with the use the Fitness Park is getting. Opened last year, the equipment is being used throughout the day. Designed for all ages and levels of fitness, the park in Thornton Road is proving to be the success that project coordinator Robyn Clark had hoped it would be. 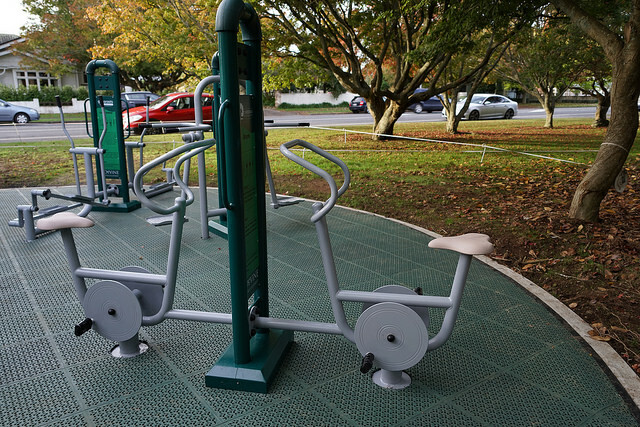 "Last year, one of Rotary Cambridge's goals was towards a healthier community, and we believed this Fitness Park was something everyone could enjoy and benefit from. This has proved to be the case and from daylight to dusk it's great see the equipment being used. A great community project" says Robyn.